The Pod Cafe has been named in a list of the country's best vegan restaurants by national newspaper The Guardian. ​The online guide was compiled from readers' travel tips and the Pod was listed in a top 10. The review for The Pod says it serves "beautiful, simple vegan food. 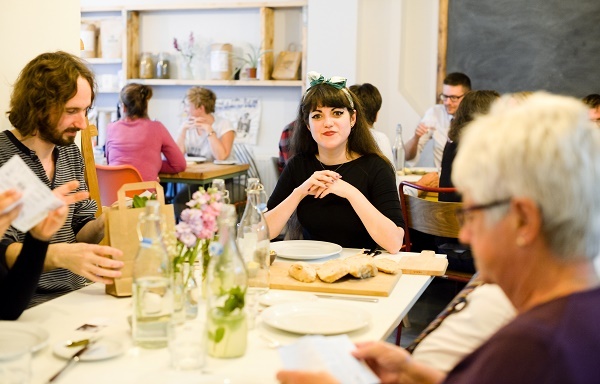 Banh mi with homemade tofu, nourishing pod bowls of dal, vegan breakfasts with homemade Greek baked beans – the simple menu makes the most of produce from its community farm and main courses are ridiculously good value at £3." The Pod Café, on Far Gosford Street, is a vibrant community cafe open to the public specialising in freshly cooked Vegan food. Taking inspiration and flavours from all over the world. All produce is locally sourced and primarily organic either from five Acre Community Farm, its own food union allotments or Coventry indoor market. The aim is to provide healthy food with authentic flavours at affordable prices and that’s why all main meals are only £3. The café is not only a place to eat but it’s a hub for social activism. Read the Guardian article in full.